The Joseph Meyerhoff Center for Career Development's mission is to foster the professional growth of MICA students and alumni. 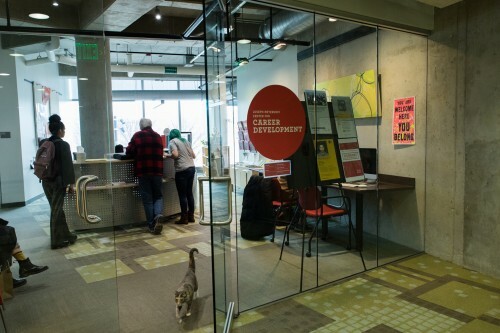 The Center strives to help students and alumni succeed in their chosen career paths by offering a variety of programs, services, and resources. We're here to assist you. Contact the Career Development Office for help.